If you’re a word game enthusiast, and love playing Scrabble, Lexuluos, or solving crossword puzzles all the time, it’s time to put your word skills to the test. 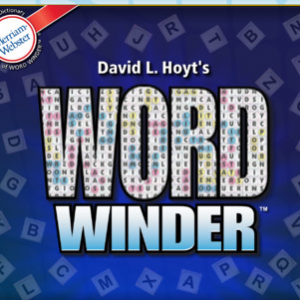 Word Winder HD is a fresh, new word game created by David Hoyt, one of the top word puzzle creators in the U.S and marketed by Adveractive. Word winder gives you the thrill of a challenging crossword puzzle mixed with the excitement of a word finder board game. 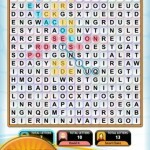 Word Winder Finder – A combination of crossword puzzle solving and word finding. You are given clues to a word, which has to be found on the board. Points are awarded based on the speed at which you solve the puzzle. As the number of letters to the word increase, the game becomes more difficult. And of course, you can always use the Hint button to reveal the first three letters of the word. 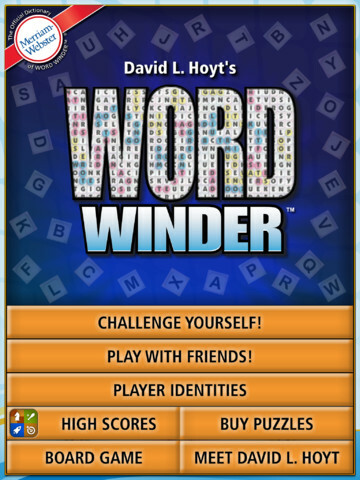 Word Winder Challenge – Similar to WW frenzy, but players have to find hidden words between 3 – 6 letters across the board, and connect the left side to the right side. This is a 16 x 16 letter grid, and connecting the two sides by a link can get quite challenging. A puzzle that requires your full concentration. Not for those who are looking for an easy word game. Word Roundup Frenzy – Similar to Word Winder Frenzy, with the only difference being that words are all in a straight line and do not wind. You need to find the number of 3-6 letter words as specified, and do so in as little time as possible. 2 Player – Another 16 x 16 letter grid game with players taking turns to make words. Words can be made anywhere on the grid, and new words do not have to touch previous ones. The fist player who completes a winding line of letters from one edge of the grid to the other wins. 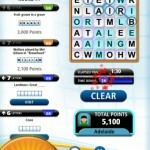 What makes this mode particularly challenging is that you can create a word which blocks your opponent’s path. Really competitive and stimulating game. It could have been even better if an online multiplayer mode could have been included. 2 Player Speed – Similar to the 2 player game, except that the player who makes the best time wins the game. Additional games and puzzles can be unlocked through in-app purchases. But even the ones available in the default version will keep you engaged for a long time. Leaderboard support is available through Game Centre, so you can check out how you stack up against your friends. Word Winder has a neat and pleasant interface, with jus the right amount of animations and colors. Nothing too flashy, and works well to capture all your attention towards the word board. Animations and screen transitions are smooth and minimalist, and sound effects are catchy, but not distracting. Overall, this is a well designed and engaging word game that is ideal for all age groups and can help you improve your word skills as well as keep you entertained at the same time. 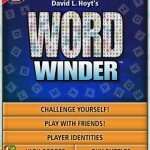 Word Winder HD is compatible with the iPad requires iOS 4.3 or later.